Note : produced by and features John Medeski ! 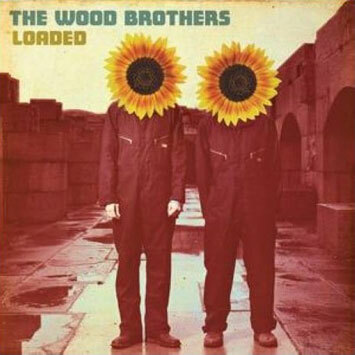 Following up to their critically-praised debut Ways Not to Lose, The Wood Brothers (vocalist/guitarist Oliver and bassist Chris) are back with their rootsy blend of Americana, blues, and folk on Loaded. Again enlisting longtime friend and artistic collaborator John Medeski as producer (who gets behind the keys on a few tracks as well), The Wood Brothers create an expansive exploration of their music, eschewing the more spare, acoustic, in-studio setting of their debut album for a more collaborative approach with other musicians and friends, resulting in a fleshed-out, multi-layered band effort. Highlights include Oliver swapping verses with labelmate Amos Lee on a cover of Hendrix's "Angel," and Chris taking a vocal lead in tandem with Frazey Ford of the Be Good Tanya's on "Don't Look Back." The album is rounded out with a wide array of artists including folk singer-songwriter Pieta Brown, steel guitarist Darick Campbell, violinists David Mansfield and Jennifer Choi, cellist David Eggar, drummers Billy Martin and Kenny Wolleson, and percussionist Donnie McCormick.